This level has medium difficulty. 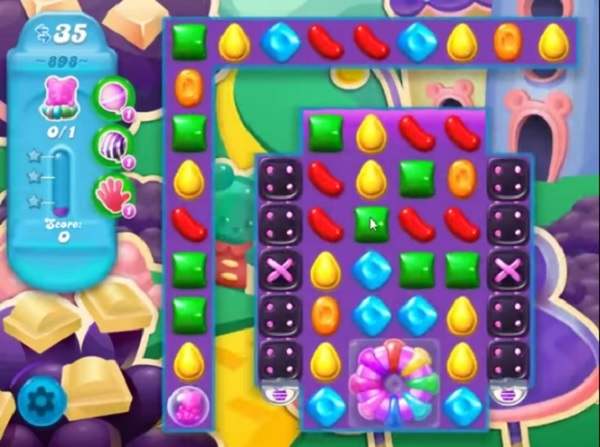 For this level try to play more near to cake or top of the soda to shuffle the candies. Make special candies and combine them with each other to move bear to take them out from the board. Why do I only have 30 moves on this level when it says there should be 35 moves to complete it?